These Multimode 50/125 micron OM3 & OM4 optical cassettes are designed for high density 12 and 24-fiber 10G data solutions. 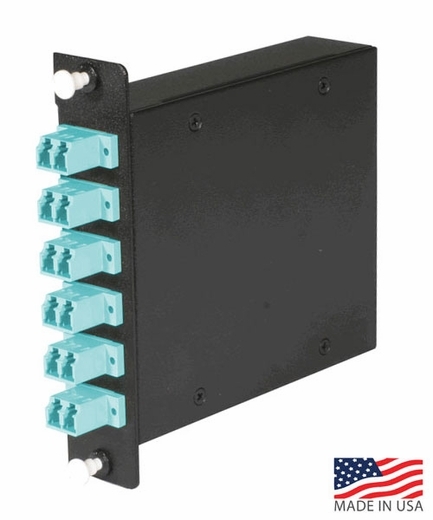 Use one or two MTP fiber cables in the rear of the cassette which, through the pre-terminated and pre-tested fiber harnesses already loaded in the cassette, break out to either duplex LC/SC connectors, or quad-LC connectors, in the front of the cassette. The cassettes can be snapped into our standard WAC and RAC fiber enclosures.